Looks beautiful Laurel! 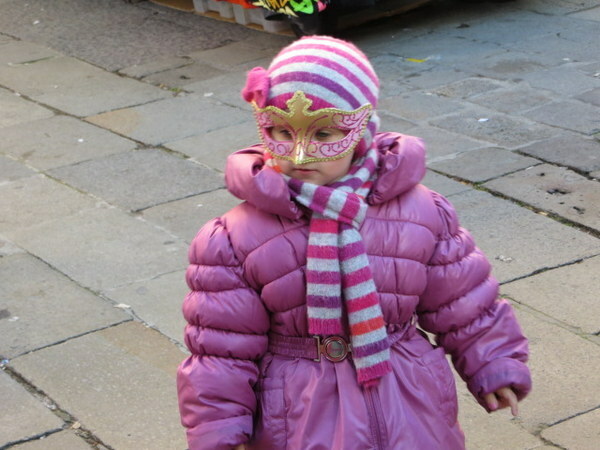 I also spent a Christmas in Venice once! I think it was 198…. Well, no need to dwell on numbers 🙂 I’ll have to dig out the photos sometime. Ciao Karen! Come back and visit Venice and stop by Rome! Buon Natale, Laurel. Thanks for sharing. Wishing you a wonderful New Year! Grazie for your Venezia post. I have been there the last two Decembers….2012 for a month and then 34 days last year. I love the apartment where I have stayed where they see me so often at the local Punto that even they think I’m local. Winter is indeed a lovely time to go. This year I’m here just slightly south of Seattle, WA USA wishing I was there. Ciao Misha! The West Coast is not so bad: We are from Portland! You could winter in worse places. I just read your post on retirement and as I am entering that phase of life in May, I an pleased to read how much you like it! Retirement is wonderful when your entire life doesn’t revolve around what you did for a living. It helps so much to have hobbies and friends outside of work. And if you’ve read my blog you know I’m working on a plan to actually move to Venice. I have no ties here….just need to get my finances in order and convince Italy that I deserve an Elective Residence visa. Time will tell…..in about four years. I added it up and in my four visits to Venice since the first one in 2008 I’ve spent 83 days there. Of course that was 30 days in 2012 and 34 in 2013! It’s never enough and I’m always sad to leave. The area where I currently live is my second favorite place in the world…I think you can guess my first. Mischka, I think we are of one mind. Love it, just love it! Thanks for sharing. That lighted tree in the piazza looks beautiful!!! 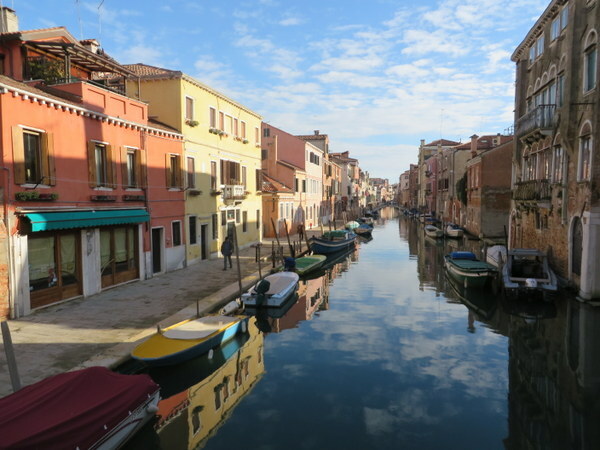 And I love both Murano and Burano. You are sooo lucky to have spent 24 nights in Venice so far! Thanks Marcia! Next time you come over I’ll send you to my glass artist!